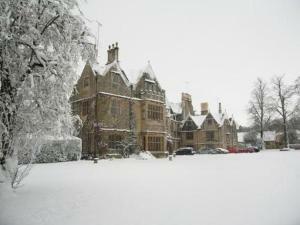 In beautiful, peaceful grounds, surrounded by the stunning Cotswolds, this 18-bedroom Elizabethan manor house hotel combines traditional charm with modern comforts, including free Wi-Fi. 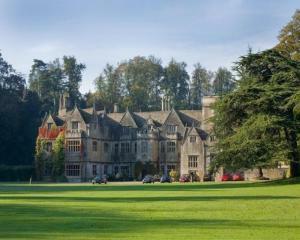 Less than 2 hours' drive from London, close to Cirencester and Swindon and ideal for the M4 corridor, Bibury Court is a welcome refuge and a retreat from the pressures of modern life. Quietly attentive service and elegant, undemanding old-world comfort are everywhere, from the oak-panelled drawing room, with its deep sofas and log fire, to the original, atmospheric Art Deco bar. Originally built in 1633, the house is rich in historic character. 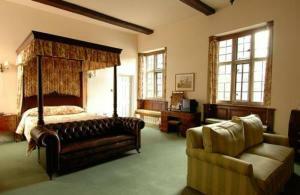 The comfortable bedrooms look out over the surrounding gardens and are full of original features and antique furniture. Many of the en suite bathrooms house huge Victorian baths. The hotel offers delicious food, made with fresh local produce. Guests can enjoy a meal in the Conservatory, the Drawing Room, the bar or outside on the terrace.